DYNATUNE SUSPENSION DESIGN MODULE (DSDM) has been developed in order to provide a convenient MS EXCEL based tool for quick (independent) suspension parameter studies based on an Elementary Suspension Geometry Data set. 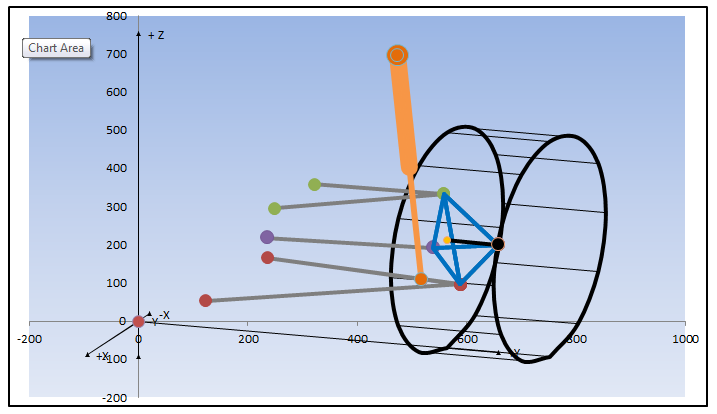 DYNATUNE SUSPENSION DESIGN MODULE is for calculation AND post processing entirely based on vector algebraic equations - which are commonly available in mechanical engineering handbooks and for decades have proven their validity. 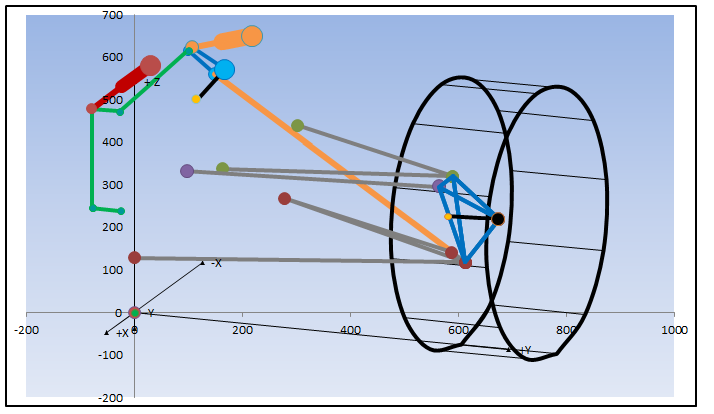 Moreover the vector algebraic approach in DYNATUNE SUSPENSION DESIGN MODULE permits to calculate AND post-process even the most complex multi-link suspensions with virtual steering axis correctly, A capability that nowadays can only be found in the most complex & expensive simulation tools. DYNATUNE SUSPENSION DESIGN MODULE has been developed to be used especially in the conceptual phase and/or during the final chassis development where it has proved to be also an excellent support tool for the development engineers. DYNATUNE SUSPENSION DESIGN MODULE comes in 4 Versions. All Variants come with Specific Features & Post-Processing Tools as can be seen in the table on the right. The "BASE" Version is focused on providing all necessary tools for designing the Kinematics of a Standard Production Vehicle and typically Racing Car Suspensions that are derived from those Standard Production Cars. In the "PRO" Version Suspension Compliance has been added by means of implementing a "Link Stiffness" allowing to analyze Suspension Behavior under Loads. The highly specialized "RACE" Version permits compared to the "BASE" Version additional kinematic investigations of complex Push-Rod, Rocker & Roll Linkage Suspensions which typically can be found on Formula and Super Cars. In the "RACE" Version of DSDM, the kinematic "BASE" Module has been extended with the additional feature of a Push-/Pull-Rod Rocker Suspension with or without a Anti-Roll Bar Linkage. The Anti-Roll Bar Linkage can be configured to be either a commonly used U-Bar or T-Bar configuration. In addition to the 3 existing Generic Suspension Templates, 4 additional generic Rocker Templates are included. All Post-Processing Tools have been upgraded to analyze the kinematics of the added Features. In analogy to the "PRO" Version the "EXPERT" Version adds Suspension Compliance to the "RACE" Version. Beyond that the "EXPERT" Version comes with a Suspension Load Case Template and a Generic Vehicle Load Case Template which allows the user to design not only the Kinematics or Elasto-Kinematics but also provides initial link loads which can be used for structural design investigations on how to design the suspension attachment points.